The BCCI is set to announce the IPL 2019 schedule only after the dates for the 2019 Indian General Elections are out. The Indian Cricket Board is also considering various options for hosting the twelfth edition of the cash-rich league, keeping in mind the Elections as well as the 2019 ICC Cricket World Cup. A BCCI official said, " While the effort is to keep the entire tourney in India, a lot will depend on the dates of the general elections”. The IPL has been played twice outside India - in 2009 the tournament (full season) was moved to South Africa as it clashed with the General elections and for the same reason, it was moved first half of the season to the United Arab Emirates in 2014. 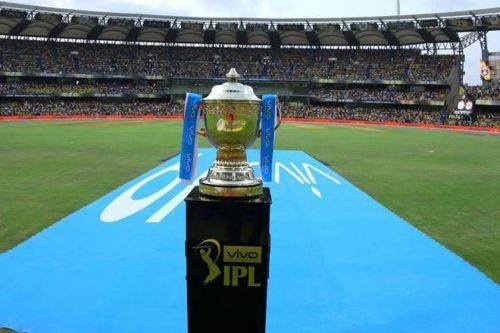 Meanwhile, the twelfth edition of the IPL which will be played in 2019 was expected to start in late March and end by mid May, as the cricket boards of various countries wanted their players to be available for the National camps at least two weeks in advance to the commencement of the 2019 World Cup which is slated to begin on May 30. The BCCI officials are now considering four possible options for the smooth conduct of the league next season. The options include - a caravan format where all the teams travel together to all the venues with 5-8 venues for a total of 60 matches, organizing matches in smaller and non-conflicted stadiums within the country, holding some matches in India and rest in the UAE (like in 2014) and holding the entire tournament in South Africa (like in 2009). One of the BCCI officials told Economic Times, " We are also planning to advance the whole league to March-April, like in 2010 so that it can finish ahead of elections and there is a good rest period for the players before ICC World Cup". Though we are done with the 2019 IPL auction, still there are no clear signs regarding the schedule as well as the venues of the twelfth season. With the BCCI making it clear that the further decisions will be taken only after the General Elections dates are announced, the wait-game continues!